What is Operation Camping Ministry? It is your opportunity to make Jesus known through Wesleyan Woods sponsored camps and retreats. At the heart of our existence, Wesleyan Woods seeks to minister to each person who steps foot upon its grounds, make Jesus known and bring glory to God. This is an opportunity to pray, give and volunteer. In addition to our youth camps, Wesleyan Woods offers several different retreats/rallies throughout the camping season. 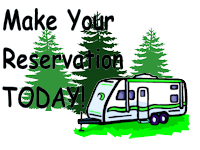 Strong Family RV Rally (June 14-16)is fast becoming a popular weekend and our Hunter’s Retreats (September 13-15)is another popular weekend. New for 2019 Wesleyan Woods is hosting family camp July 12-21. These are just some of the many events we hold to bring people closer to God and each other.